Hafeela started learning music at a very tender age when her maternal grandfather taught the basics of Oriental Music on a pedestal model of a Harmonium and the Violin. However, a few years later, she started the serious study of Music on the Piano at the Pestonjee School of Music under the able guidance of the late Mrs. Mary Billimoria who instilled in her a very firm foundation in the field of music. 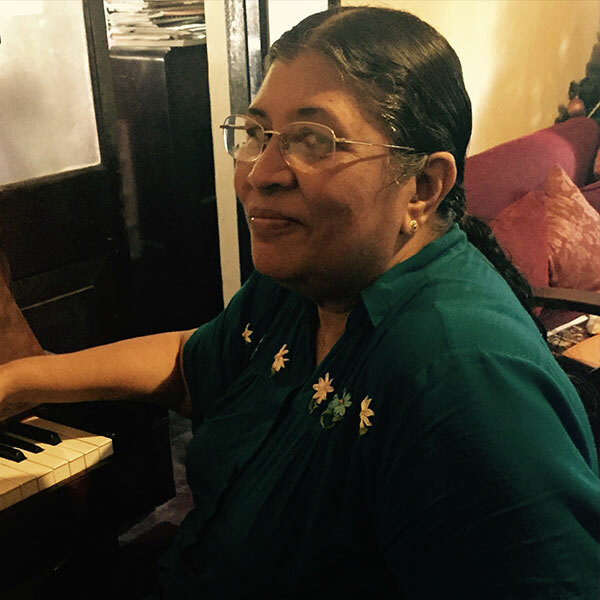 She completed her final grades in music at her alma mater at Holy Family Convent, Bambalapitiya under the tutelage of the late Rev. Sister Mary of Mercy. After a break in her adult years, when she was employed in the field of Stenography and Secretarial work, she once again resumed her music under the tutelage of Mrs Louisa David, and Soundarie David Rodrigo, who inspired her to complete her Associate of the Trinity College of Music, London, and her Certificate of Performance of Teachers, in Western Music in Sri Lanka. Since 2003, she has been teaching the piano to young children, and has been teaching at the Soul Sounds Academy since 2013. She derives much pleasure in imparting her knowledge and being a part of the talented and energetic group of young children at the Soul Sounds Academy.